For over 40 years, Golf N’ Stuff has been providing quality family entertainment for all ages. 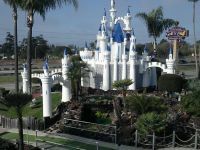 Our park features unique miniature golf courses, Lit’l Indy Go-Karts, Bumper Boats, Bumper Cars, and Lazer Tag. In addition the park has lush landscaping and water features. We also have the most current and up to date video and prize arcade games available for your enjoyment. We have something for everyone. If you are planning a group outing, birthday party, company event, church celebration, sports banquet, or just a special get together, look no further. Golf N’ Stuff can make any event memorable. For information about GOLF N’ STUFF and our services, please give us a call or drop us a note. One of our friendly staff members will be happy to assist you. We look forward to seeing you!